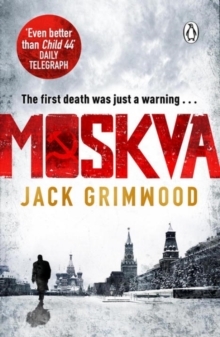 ‘Even better than Child 44’ Daily Telegraph ‘Given that the definitive thriller in 1980’s Moscow already exists (Gorky Park), Moskva looks like a crazy gamble. But it’s one that comes off’ Sunday Times ‘A riddle wrapped in a mystery inside an enigma …’ January, 1986. A week after disgraced Intelligence Officer Tom Fox is stationed to Moscow the British Ambassador’s fifteen-year-old daughter goes missing. Fox is ordered to find her, and fast. But the last thing the Soviets want is a foreign agent snooping about on their turf. Not when a killer they can’t even acknowledge let alone catch is preparing to kill again …A Cold War thriller haunted by an evil legacy from the Second World War, Moskva is a journey into the dark heart of another time and place.